I have great respect for White Sox fans. It can’t be easy. 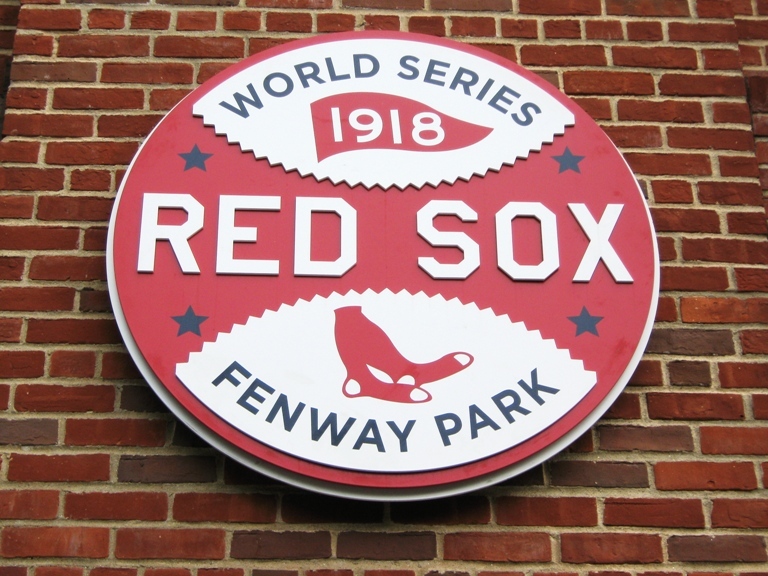 For all of the romanticizing of the 86-year championship drought endured by Red Sox fans and the continuing looking to next year that Cubs fans endured, White Sox fans never seemed to garner any sympathy for the 88 seasons that they pulled for the Pale Hose without seeing a championship. Surely, thousands of fans attended games through their entire lives without ever once seeing their heroes on top of the baseball world. 2001 was year 84 of the drought. 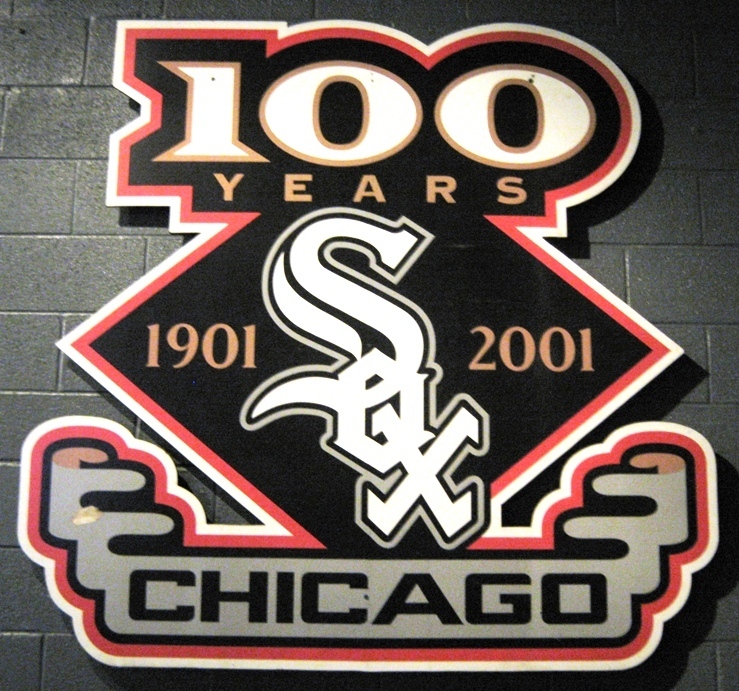 In the years from 1919 to 2005 after the Black Sox, the White Sox had four playoff appearances, losing in the first round of each one…the World Series of 1959, the American League Championship Series of 1983 and 1993, and the League Division Series of 2000. They had experienced almost every bit the level of futility as the Red Sox or Cubs, if not the devastating near misses. Yet the White Sox seemed to garner nowhere near the compassion. One possible reason is, of course, the so-called Curse of the Black Sox. Bambino and Billy Goat curses are easier for fans to pour their heart into…after all, what did Ted Williams or Carl Yastrzemski or Ernie Banks or Ryne Sandberg do to deserve to never win a title in their careers? But it seems more just for the baseball gods to punish a team that desecrated the sanctity of the World Series. 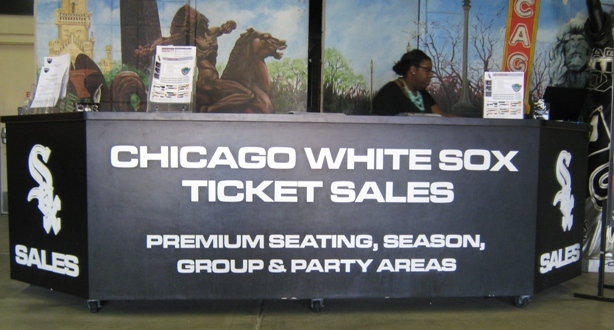 To this day the biggest names associated with the White Sox to most fans are Charles Comiskey, Shoeless Joe Jackson, Buck Weaver and Eddie Cicotte…names that are just as well known (thanks partly to Eliot Asinof and Hollywood) as Frank Thomas, Luke Appling, Harold Baines or owner Jerry Reinsdorf, who paid for the 2005 championship drought-ending team. Even if you are sympathetic to Shoeless Joe, as many fans are, that can’t be an easy legacy to champion. I’ve asked some White Sox fans what they think is the reason the Sox’s drought gets dismissed in comparison. The consensus is generally that while the Black Sox may have something to do with it, there are some other possible reasons too. For one, White Sox never seemed to suffer the colossal near misses that the Red Sox did. They probably figured they’d be putting up another banner well before 2004. The Red Sox made four World Series in their 86-year drought; each one went seven games and ended in a Red Sox loss. In 1986 the Red Sox blew a two-run lead in the tenth inning of Game 6, coming within one strike of winning the Series before a ground ball trickled through Bill Buckner’s legs. The Curse of the Bambino was by far the easiest of all to really believe in, given the crushing defeats that always seemed to befall the Red Sox. Until the NLCS of 2003 and the infamous Bartman game, the Cubs seemed to simply suffer from a usually incompetent roster more than a black cloud waiting to unceremoniously deflate fragile hopes. Another reason a White Sox fan suggested to me is the lack of a well-known rivalry with a team whose success on the field has been the opposite of futility. The Red Sox have, of course, the fierce rivalry with the Yankees that has lasted ever since the sale of Babe Ruth to the Bronx. The Yankees are the most successful team in major sports history, with 27 World Series championships. In second place in World Series titles is the St. Louis Cardinals…who scored a miraculous 11th in 2011, and who were for many years the Cubs’ biggest rival. While interleague play has turned Cubs and White Sox fans into snarling crosstown enemies, the Cubs fans rivalry with Cards fans is still going pretty strong. Don’t worry, we’ll get another star pitcher when Feller retires. By contrast, the White Sox have never had a team in their division racking up titles and bringing crowing fans into Comiskey/U.S. Cellular/Guaranteed Rate from out of town. There’s a rivalry of sorts with the Indians, but the Tribe has been enduring a pretty long championship drought of its own—64 years as of this writing and probably counting. White Sox fans don’t care much for Tigers fans, but the Tigers have only put four titles on the board, just one more than the Sox. Then there’s the characterization of the teams’ fan bases. Two directions…two entirely different baseball worlds. Wrigley Field and Guaranteed Rate Field in Chicago are separated only by a half-hour train ride on the CTA Red Line. But they might as well be in different countries. At Wrigley a baseball game is a celebration that engulfs the entire neighborhood, from the rooftops of nearby houses to the drinking establishments where the party often continues, win or lose. At Guaranteed Rate, fans are there to see a game, and the only partying is in the parking lots—although there is a considerable amount of happy times there. There is almost no ballpark neighborhood to speak of, and the South Side has a reputation for being a place people don’t want to be at night, so if you’re not interested in baseball, you’re less likely to enjoy yourself at a White Sox game. But at least won’t be surrounded by mai-tai drinking cell phone users, and you can better follow what’s going down on the field. Sure, what the Cubs endured was rough, and being a Red Sox fan for those 86 years could have made normal people suicidal. That aside, it’s not like White Sox fans haven’t had to endure more than their share of heartache. They won 99 games in 1983, only to lose an ALCS to a seemingly destined Orioles club. They had to face a well-funded Blue Jays team in 1993 and hung tough until a six-game ALCS loss. The 2000 Sox won 95 games, the best in the American League, but fell to the Mariners in four games of the ALDS. For 40 years, Sox fans had to live with their team corrupted into a loss in their last appearance in the World Series. The 1959 World Series loss to the Dodgers had to be tough too…Sox fans knew very well by then how long it could be before their team could make it back to the Big Show, and indeed the White Sox wouldn’t be back again for another 46 years. So what’s a measly 88 years? That the Sox swept the Astros in four games in the 2005 Series probably saved the hearts of some older Sox fans, who would have had enough without a nail-biter seven-game Series. To grow up in the city of Wrigley Field and the Cubs and become a White Sox fan, one must acquire or already possess a nonconformist nature. It could be argued that White Sox fans are more dedicated than most in baseball, even if the White Sox aren’t among league leaders in attendance. Not only did they go 88 years without a title, they did it without soulful books and poetic tributes from sportswriters about a suspected hex that had been placed on their team. So here’s to the White Sox fans…and all their loyal dedication to the Sox without forming support groups.